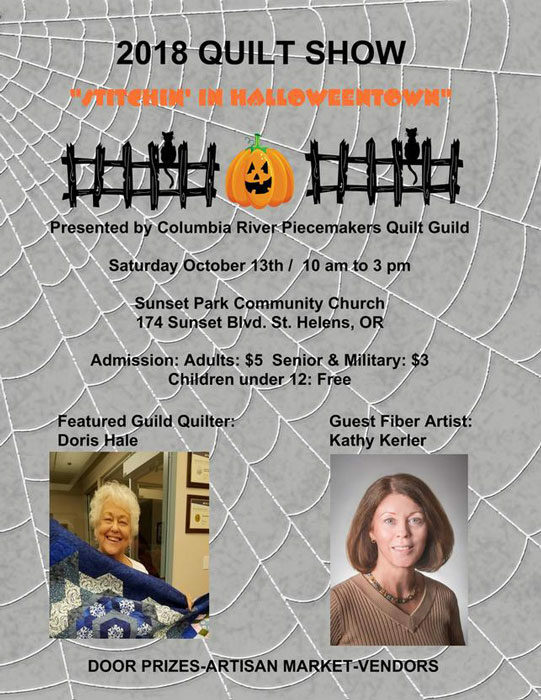 I am delighted to be the guest artist at the Columbia River Piecemakers Quilt Guild upcoming show. It is held in conjunction with Halloweentown, a celebration sponsored in St. Helens, which recognizes the filming of the movie of the same name. Hope to see you there. Can’t wait to see how the guild members dress up. I’ll even be in costume if my wings arrive in time!